Australians have seen many types of architectural styles during its relatively short history including Victorian terrace buildings, the popular red-bricked Federation homes, Californian Bungalows, creative Art Deco houses and apartments, simple Austere homes of the post-war era and the ever-changing modernist styles such as brick veneer homes. Given the vast array of landscapes throughout the country, housing styles and even building materials tend to vary from state to state in Australia. For instance, the Queenslander style home is an elevated, weatherboard home with a veranda circling the entire home; whereas in NSW you are more likely to find brick or stone laden homes with wrought iron verandas and house designs in Perth are typically built with our Mediterranean climate in mind. 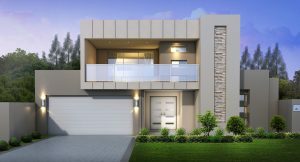 In modern day Perth, the demand for two storey homes designs is growing rapidly in conjunction with population growth and the dwindling lot sizes of land available for sale. Two storey designs allow buyers to accommodate their family and still have room for a backyard for the kids to play in or room for a pool or patio, without breaking the budget. Apartment complexes and smaller single storey home designs are still popular options for lower income earners trying to get themselves into the property market. Great Living Homes offers a range of house design options at budget-friendly prices and a custom design service to help you create a style that is all your own! If you are looking for a modern eco-friendly home, a beach-side bungalow, an inner city mansion, a Queenslander style home or a unique rural property, Great Living Homes can help you bring your style to reality. Great Living Homes also offers you a large choice of building materials to suit your preferences and budget such as steel or timber framing, double brick or weatherboard, roof tiles or Colorbond sheets and much more. It doesn’t matter what house designs in Perth that you are looking for, the chances are the friendly and knowledgeable team at Great Living Homes can help you! You won’t be disappointed when you come in for an obligation free discussion with our building consultant and discover the possibilities for your new home.